In the latest saga engulfing controversy’s favourite child Delhi CM Arvind Kejriwal, AAP in Delhi might see 21 of its MLAs disqualified. The reason is simple: the Delhi Government appointed these 21 MLAs as “parliamentary secretaries” which was not permitted as per law since they were considered to be holding an “office of profit”. This matter has earlier claimed big names such as Jaya Bachchan and even Congress President Sonia Gandhi. While Bachchan lost her Rajya Sabha seat via disqualification, Sonia Gandhi had to resign from all her posts which could have been considered as falling under “office of profit”. Arvind Kejriwal though tried another method, by passing a bill which had retrospective impact, trying to bless his 21 MLAs with legal sanctity. Unfortunately the bill was rejected by the President of India and ever since a new saga of victim-hood has played out. Kejriwal has cried foul that Modi is behind all the happenings. Q. The President has just declined to give assent to the Delhi Government’s bill to exclude the post of parliamentary secretary from the office of profit. Why do you think he has done so? 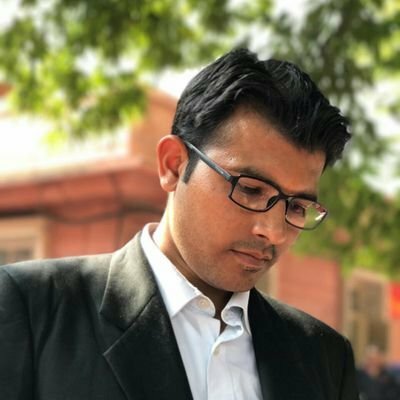 Adv Patel: On 26th December, 2015 I had submitted my reply to Election Commission and a copy to Hon’ble President that the Delhi Government did not observe and follow the mandatory legal and constitutional requirements before introducing and passing this Bill in the Legislative Assembly, hence the impugned Bill cannot and must not be given the shape of a valid law. So Hon’ble Rashtrapati Ji being the defender and upholder of the constitution, must therefore withhold his assent to this Bill. I submitted this after the submission of my Petition seeking disqualification of MLAs holding Office of Profit. Delhi Government tried to present fait accompli to Hon’ble Rashtrapati Ji and brought a bill in Assembly. Q. Kejriwal has alleged that the President is working on orders of PM Modi and MHA. As per the legal processes, is it fair to make such a conclusion granted that the President has declined NDA’s bills as well? Adv Patel: Article 102 and 192 read with Section 15 of the NCT Act say that, in the matter of questions as to disqualification of Members, President shall obtain the opinion of Election Commission before taking any decision and decision of President shall be final. The file related to “Office of Profit” doesn’t go to PM, Cabinet or Government. Q. Kejriwal claims that there are no benefits accruing to these parliamentary secretaries hence it is not an “office of profit”. The official circular says they may use vehicles and space for official purposes. How is this an office of “profit”? Adv Patel: ‘Profit’ normally connotes any advantages, benefit or useful consequences. Generally, it is interpreted to mean monetary gain but benefits other than monetary gain may also come within its meaning. “Office of profit” is one to which some power to patronage is attached or in which the holder is entitled to exercise the executive functions, or which carries dignity, prestige or honour to the incumbent thereof. Q. Why did the Delhi Government frame such a bill in the first place? Adv Patel: The appointment of Parliamentary Secretaries was made on 13 March 2015, and the Bill with malafide and malicious intent , was passed on 24 June 2015. It was given retrospective effect by stating that “It shall be deemed to have come into force on the 14th day of February 2015” only because I had filed a petition before the President to disqualify 21 MLAs on 19th June, 2015. Q. Kejriwal says that many states have such parliamentary secretaries who also get paid and Modi is singling out Delhi. Is it true? Adv Patel: First of all I want to clear that Delhi is not a state but Union Territory. Delhi comes under Chapter 8 of the Constitution and States Comes under chapter 3 of the Constitution. In Delhi, if You want to make any rule or want pass a Bill, you have take permission first from Central government via LG, which was never taken. In other states they have made parliamentary secretaries after passing the Bills in their Assemblies. Q. In all the attacks of Kejriwal, he claims Modi is after him, whereas the entire issue started with your petition to EC. Are you in anyway connected to BJP or Modi? Adv Patel: I do not belong to any political party and have no political affiliations either. As a vigilant law abiding citizen, I simply want the majesty of the Indian Constitution and the law of the land to prevail. Q. Some media reports suggest that the 21 MLAs now will be disqualified, but some other reports say that there is still time to go as EC has to hold hearings and take a decision. When will this issue be settled? Adv Patel: EC is conducting all these proceedings according to directions of the President. EC may give chance to 21 AAP MLAs for Personal hearing. I have also requested to EC in my Rejoinder that the intention of MLAs seems to be malafide and to delay the process. However In the interest of speedy disposal of the matter, the hearing of all MLAs may be completed on a single day itself. The matter is on its final stage and EC may soon give opinion to the President and the President will take a decision and his decision shall be final which can’t be challenged to any court. Q. Are there any legal remedies available to AAP to solve this issue without getting 21 MLAs disqualified? Adv Patel: According to the Constitution, there is no legal remedy available to these MLAs, since appointment of 21 MLAs as Parliamentary Secretaries is the worst kind of political corruption.